I am moving house this weekend and so I am trying to keep my fresh food to a minimum. 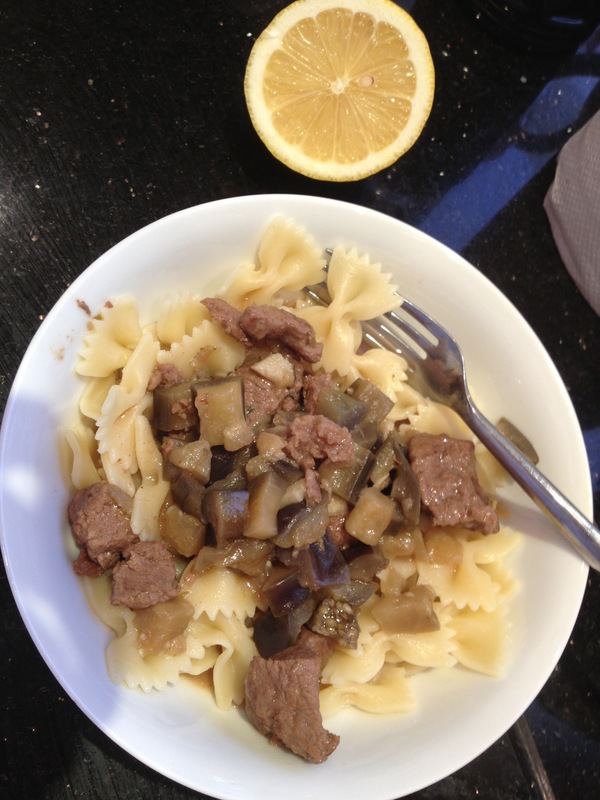 This recipe demonstrates the importance of always having a basic set of spices and sauces handy in your kitchen, such as stock, herbs and garlic, without which I could not have made this delicious dish! I went to buy some fruit earlier today and for some reason, I was also compelled to buy an aubergine. When I got home, I discovered some beef in the freezer. Jackpot! This stew turned out way better than I expected – I didn’t think it would make it to the blog but here it is! In my mind, this dinner cost me 60p, as the aubergine was the only thing I bought for it. Note: One of the few things I don’t like is tomato… normally a stew like this would include canned or fresh tomatoes but I substituted with a little bit of tomato puree, which simply enhances the flavour of the beef stock and spices without the overpowering tomato taste. Put the beef pieces into a bowl and mix with the flour, salt and pepper. In a saucepan, fry the beef in 2 tbsp olive oil and 2 tbsp vegetable oil for 2-3 minutes on high heat until it is browned on the outside. Remove and keep aside. 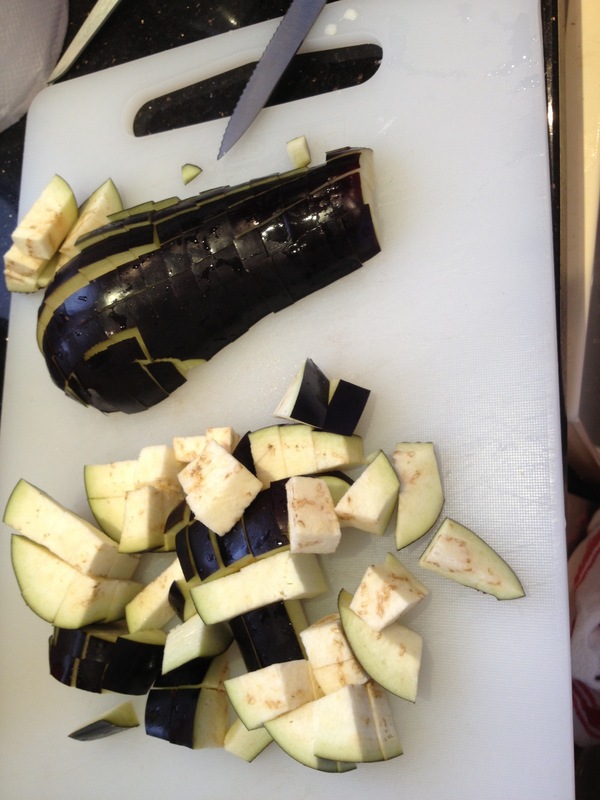 Add another tbsp of olive oil and fry the aubergine on medium heat, adding a bit of water. Remove after around 5 minutes and keep aside. In the remaining tbsp of olive oil, fry the garlic for 2-3 minutes on medium heat. Then add the cumin, coriander, paprika, chilli, bay leaf, mixed herbs and tomato puree. Stir for a minute and then add the water, beef stock and lemon. Bring to a boil and then add the beef pieces back in. Cover the saucepan and let stew for around 1 hour on low heat. Then add the aubergine and let it stew for another 5-10 minutes. Adjust for salt, and serve! Goes well with pasta, rice, or even couscous.